Hanna Tuulikki’s Air falbh leis na h-eòin | Away with the Birds is a body of work exploring the mimesis of birds in Gaelic song. 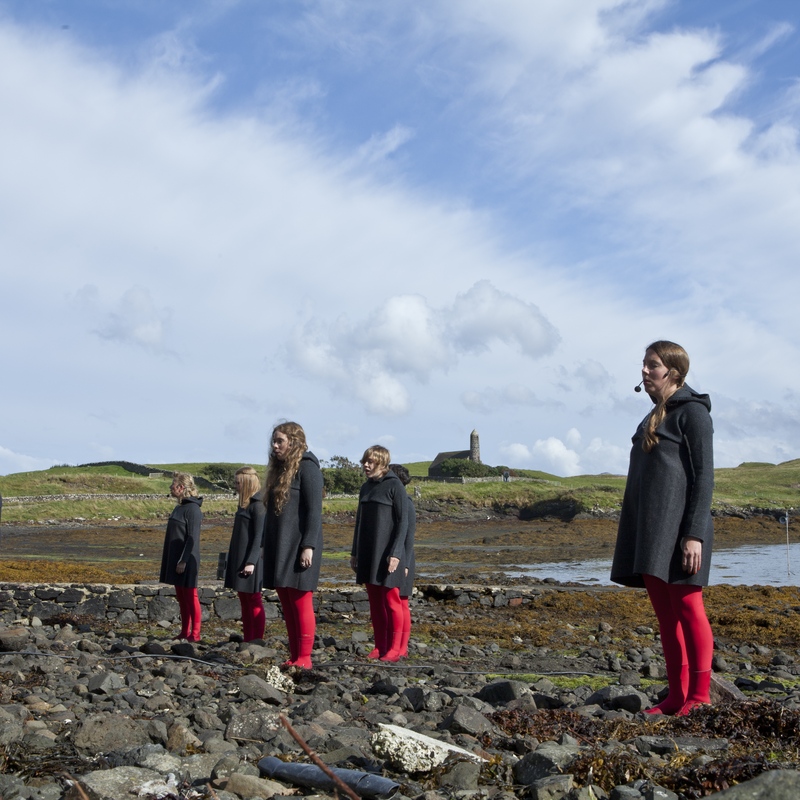 In 2014 it became a sited performance and installation, made for the Isle of Canna. It’s created by an inter-disciplinary team of visual artists, musicians, textile artists, dancers, writers, sound recordists, ornithologists, conservationists and anthropologists. We are currently working on next steps for the project. If you’re interested in the touring version of the piece, please contact Suzy Glass. 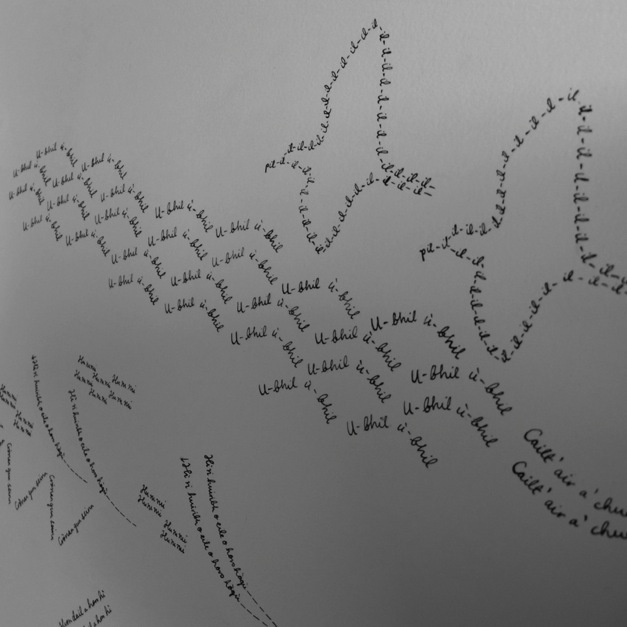 Hanna’s vocal composition, Guth an Eòin | Voice of the Bird sits at the heart of the project. 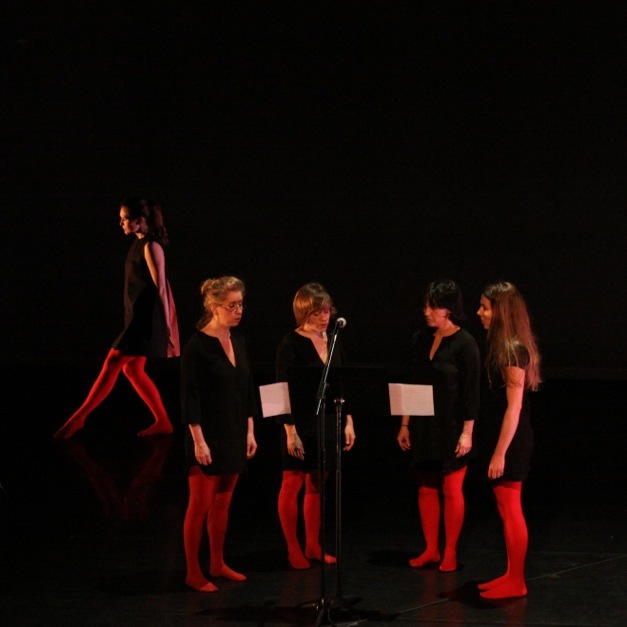 It’s written for a female vocal ensemble, reinterpreting archive, fragmenting and re-weaving extracts of Gaelic songs into an extended soundscape growing out of and responding to landscape. It explores the delicate nature of island-life, the co-existence of history and innovation, the relationships between bird, man and land. If you’d like to receive the Air falbh leis na h-eòin newsletter, you can sign up here. You can find out more about the project on the Air falbh leis na h-eòin blog. The development of Air falbh leis na h-eòin was supported through Creative Scotland’s Public Art R&D and PRSF’s Women Make Music fund. The project is produced by Suzy Glass in association with Cape Farewell through their Sea Change programme. Air falbh leis na h-eòin was part of Culture 2014.